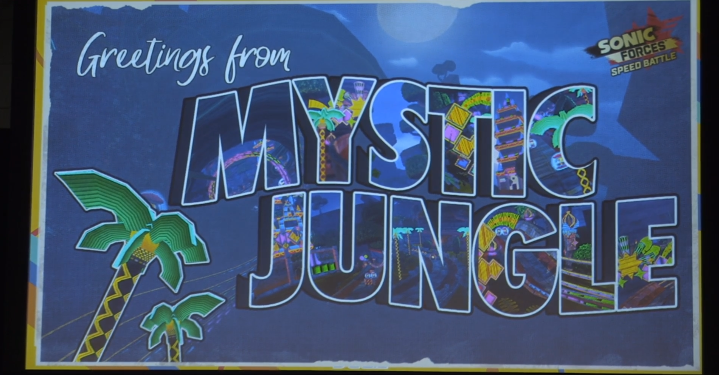 Live from the SXSW Sonic panel, Aaron Webber has revealed that Sonic Forces Speed Battle will be getting a new environment: Mystic Jungle. 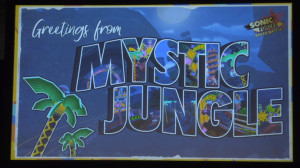 They only showed the above title card during the announcement. Stay tuned for more coverage of the SXSW panel, going on right now at their twitch stream. They’ve been rolling out content fast. Maybe it might be from experience they’re working so fast. Hopefully a team battle is around the corner. There were too many occasions where cream users seemed too friendly during races.